WI Thirst Project Fundraiser - Must Pre-register by calling 631.446.4777 or registering here online, almost approaching sold out status! We hope you will choose to come paint with us on this night. Light snacks will be served as well. At this paint class a portion of the proceeds from the evening will be donated to the West Islip Thirst Project. Mission: Working to help 663 million people on our planet who lack access to safe, clean drinking water! And not only are you painting for a great cause but you get to paint a beautiful NEW painting just released. 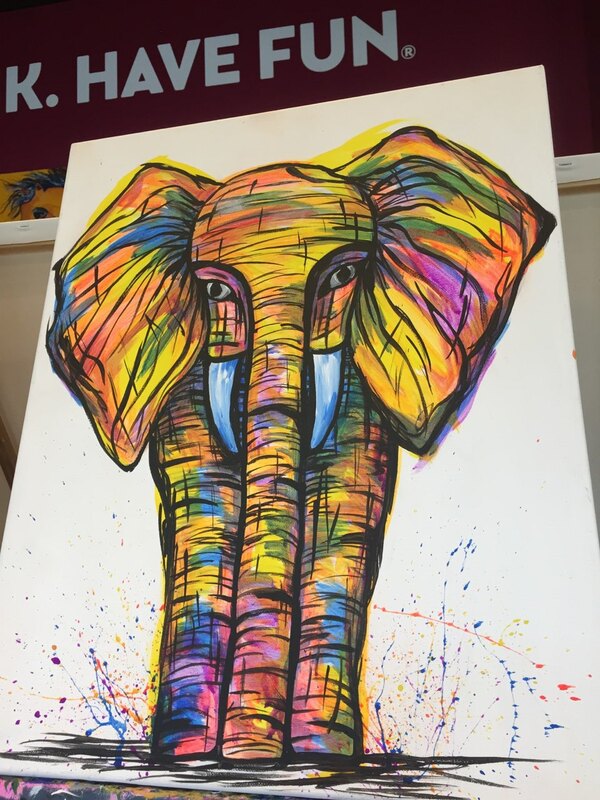 We choose this painting in honor of the wonderful work our team recently completed in Africa! Come get creative and help make a difference. Book online or call 631.446.4777 Open to all ages, invite family or friends, share with others and help support a wonderful cause. All materials will be provided (paint, aprons, supplies, etc.) No art experience required (we promise). Doors open at 6:30pm, painting will start at 7pm-9pm. Come paint and have fun! Address: 61 W. Main Street Bay Shore NY 11706 (this is next to the new Salt and Barrel Restaurant) and across the street from Pennisula Chinese Restaurant (also formerly known as park ave). Pinot's Palette has a huge parking lot for ample parking right behind the studio off Park Ave, avoid numbered stalls for free parking. From Sunrise Highway take the 5th Ave Exit to Bay Shore straight to Main Street, make a left on to Main Street and then another left on to Park Ave and follow short road into parking lot and get ready to have lots of creative fun!